Holidays are here again. With lights and party decorations coming up everywhere, our team has slipped into holiday spirits. Like everyone else, we too are looking forward to good times ahead. It was then we realized how quickly a year has passed! So we have decided to acknowledge everyone who stood by us. We would like to thank all our customers for their continual support through 2016. 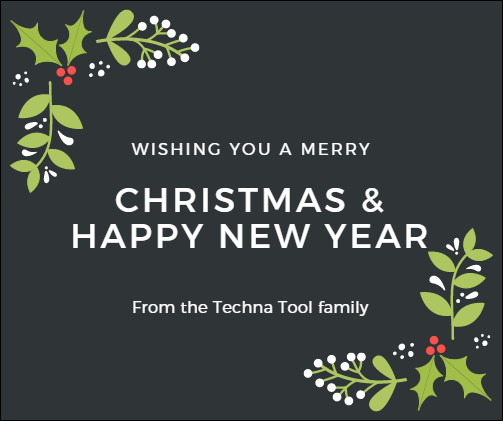 As your tool and process monitoring system manufacturer and supplier, we hope we could meet your expectations through the year. We hope 2016 was a good year for all of you. Your timely feedback, criticism, and acknowledgments have helped us grow, and build some great products this year. We hope this support will continue in the coming year too. The year was full of accomplishments, achievements, unfavorable circumstances, and challenges. Your hard work and determination helped us survive through the bad times, and brought us some moments of pride and delight. We appreciate the fact that each one of you has gone out of your way to complete the orders in time, and helped us keep our commitments with customers. We wish to congratulate everyone who has had big and small accomplishments, and achievements in their professional, as well as personal lives in 2016. We always believe a holiday celebration is incomplete without family and friends. Hence, we have decided you should celebrate it with your dear ones forgetting all worries of dispatch deadlines. Our offices will be closed from December 22-23 and December 29-30, 2016. We will reopen January 2, 2017.
: We will ensure that all prior orders are shipped before the holidays. If you have any new orders, please hold them until January 2, 2016.